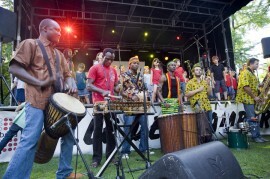 The Festival Lafi Bala this year celebrated 20 years of mutual cooperation between the towns of Chambery – in the Rhône-Alpes region of France – and Ouahigouya in Burkina Faso, West Africa. 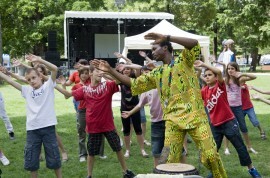 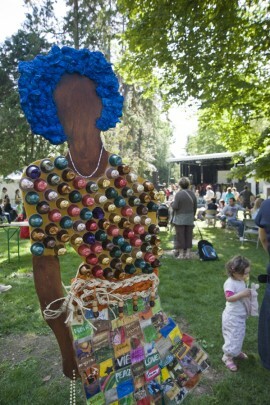 For 3 days the Jardin du Verney in the centre of Chambery was transformed into a colourful, exuberant African village, with stalls selling traditional African crafts and food; exhibitions; story-telling; giant puppets, drumming and dance workshops, discussions, and a main stage hosting musicians of exceptional quality from Burkina Faso, France and other parts of West Africa. 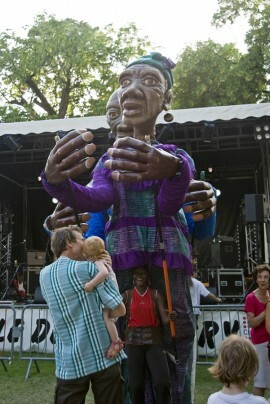 For the whole month of June, two highly talented Burkinabe artists took up residence in the ‘Cite des Arts’ in Chambery, and ran workshops with local schoolchildren in the weeks leading up to the festival. 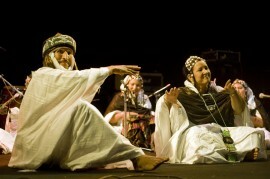 Read more: http://www.chambery-ouahigouya.com/development, restoration of buildings and roads, sinking of wells and reforestation. 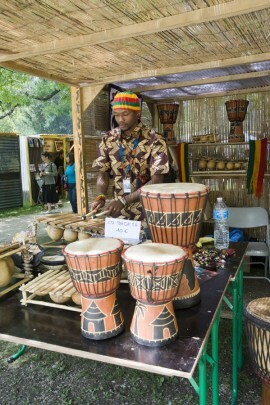 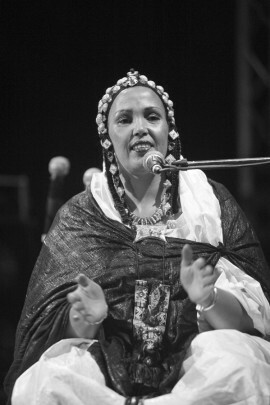 The ‘Anfiteatro delle Cascine’ on the outskirts of Florence hosted the second edition of the ‘Festival au Desert – Presenze d’Africa’ at the end of July, for a weekend of African food, celebration and discussion of Touareg culture and music. 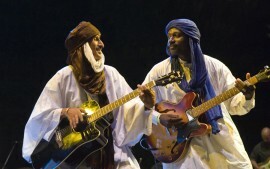 The massive stone amphitheatre resounded for 3 days with Saharan blues from Festival au Desert regulars such as Tartit and Koudede, dance & drumming from Senegal, and collaborations between African and Italian musicians.